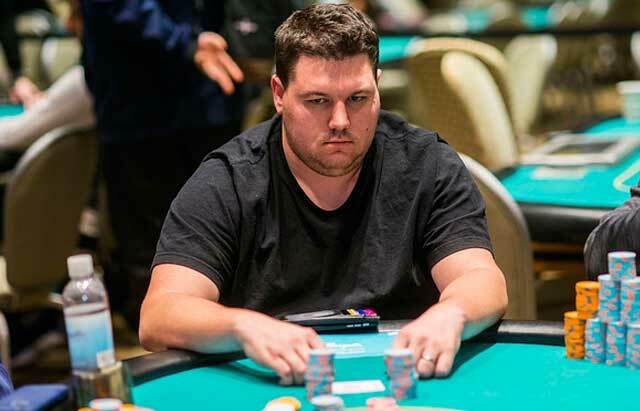 Former #1-ranked PocketFiver Shaun Deeb leads the WSOP POY race headed into WSOP Europe. Another opportunity to capture a gold bracelet arrives when the World Series of Poker Europe returns to the King’s Casino in Rozvadov from October 9 – November 2. The three-week festival includes 10 bracelet events, including the €5 million guaranteed Main Event, and €13 million guaranteed over the span of the series. The schedule of events in 2018 is slightly trimmer, down to 10 events from 12 a year ago. But the loss of the One Drop charitable events doesn’t stop the schedule from offering a slate of tournaments that will appeal to everyone from the recreational bracelet hunter to the Super High Roller. In addition to the €10,350 Main Event with a €5,000,000 guarantee, there are two high rollers, including a €100,000 Super High Roller. Pot-Limit Omaha specialists have plenty to play as the game makes three appearances over the three weeks at three different buy-in levels. Also, two of the summer’s most popular branded tournaments, the Colossus and Monster Stack, have European counterparts again this year. 2018 marks the 11th year of the WSOPE. In previous years, the event was held all over Europe from London to France to Germany. For the second time in as many years, this year, it takes place at King’s Casino in Rozvadov, Czech Republic. Last year, 888poker online qualifier Marti Roca de Torres turned his satellite investment into a 1.1 million Main Event victory. One that he parlayed into a sponsorship from the site. The only thing that overshadowed the Spaniard’s Main Event win was the attention paid to the WSOP Player of the Year race. That was eventually secured during the WSOPE by the controversial Chris Ferguson. Roca de Torres is just one of an extensive list of notable names that have taken down the WSOP Europe Championship bracelet in years past. At the first WSOPE in London in 2007, a young Annette Obrestad became the youngest WSOP bracelet winner and the first WSOPE champion winning £1,000,000 at just 18 years old. The years after saw a string of high profile players capture the title including John Juanda, Barry Shulman, James Bord and Elio Fox. In 2012, the leader in all-time WSOP bracelets won, Phil Hellmuth earned his 13th by taking down the Main Event in Cannes, France. Joining him in the years after, both Adrian Mateos and Kevin McPhee joined the WSOPE Main Event winner’s club. Of course, there will be a spotlight on who will become the next European Main Event Champion. At the same time, all eyes will be on the current WSOP Player of the Year race. At the top of the leaderboard is former top-ranked PocketFiver Shaun ‘shaundeeb’ Deeb. Deeb had a phenomenal summer campaign in Las Vegas. He accumulated 16 total cashes, earning more than $2.4 million. He also picked up two new WSOP bracelets bringing his career total to four. Deeb has a healthy points lead and will likely make the trip to Rozvadov to earn more. However, there are a couple players within striking distance that could change the face of the POY race if they attend the series and book a win or two. Deeb’s closest competition is Ben Yu. Like Deeb, Yu also had a magnificent 2018 WSOP. He cashed in 15 events and took home the bracelet in Event #77: $50,000 NLHE High Roller for $1.65 million. Both Yu and Deeb have had plenty of recent success in Pot Limit Omaha events. So, if we see the pair in Rozvadov, look for fireworks in the PLO tournaments if they both go deep. Joe ‘jcada99’ Cada and recent Poker Hall of Fame inductee John Hennigan are third and fourth on the WSOP leaderboard respectively. Neither player is well-known for traveling the circuit to play. So, it would be a surprise to see either of them on the other side of the world racking up points in this race. The World Series of Poker Europe beings on October 9 with the start of the €550 Colossus and will come to an end when the 12th WSOPE Main Event Champion is crowned on November 2.